I’ve had this book on my kindle for a few weeks, and I kept trying to get to it to no avail. Until this week. 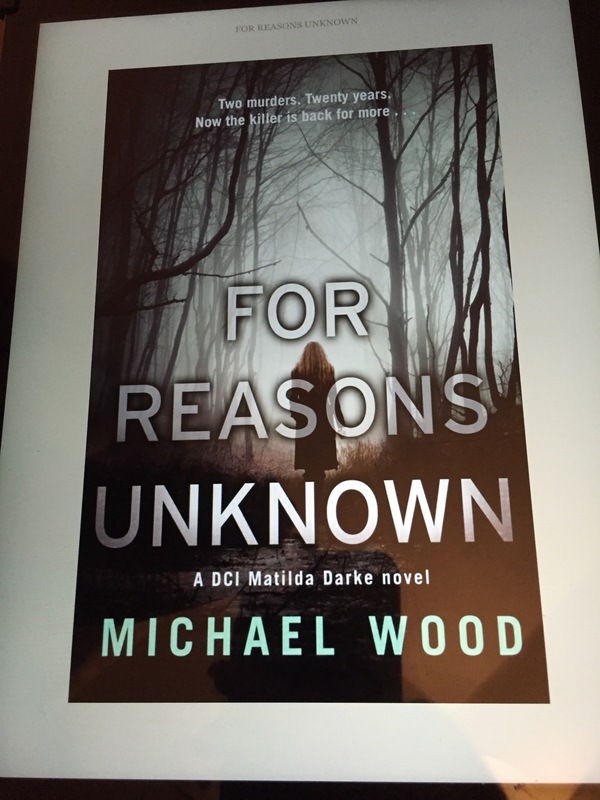 I had pretty much caught up on all my “read to review” books and I had been promising Michael over on Twitter that I would read and review For Reasons Unknown for ages so I started it Friday night! A darkly compelling debut crime novel. The start of a brilliant series, perfect for fans of Stuart MacBride, Val McDermid, and James Oswald. DCI Matilda Darke has returned to work after a nine month absence. A shadow of her former self, she is tasked with re-opening a cold case: the terrifyingly brutal murders of Miranda and Stefan Harkness. The only witness was their eleven-year-old son, Jonathan, who was too deeply traumatized to speak a word. Where to start?! First off, I loved this book. I read so many crime books that at times they all run into each other but every so often a book comes along with a story that stands out. For Reasons Unknown did just that. DCI Darke (what a name by the way!) is back to work after some traumatic events in both her personal and professional life. Clearly not 100%, she is tasked with solving a cold case from twenty years ago. The double murder of Miranda and Stefan Harkness, whose murder was witnessed by their eleven year old son and in turn, rendered him mute. Simultaneously, acting DCI Hales is investigating a murder in the city. Both past and present cases end up related so it becomes a race against time as it appears that the murderer may not be finished. While I saw this coming, I still enjoyed the way it was going. I really enjoyed the pace of this story, and I found myself reading at every opportunity (including in the car even though it makes me sick!!! I had 6% left to read!! 😄) as I was enjoying it so much. Hence I had it finished fairly quickly! As I was nearing the end, I think from about 70% on, my brain starting working everything out! Having said that, I think the author has created an intricate web in a larger story which really comes into its own in the last few chapters. That’s where things really get going, in my opinion. I gave For Reasons Unknown 5 ⭐️ on Goodreads (a rarity but it does happen! 😉). I think 5 stars out of 5 stars is rare no matter where you go! It’s sounds pretty awesome and I think I’ll pick it up once I’m done with my crime show binges ( I love me some Bones). By the way I tagged you in the The Liebster Award Let me know if you do it! I must have a look! It says it’s a bad link!